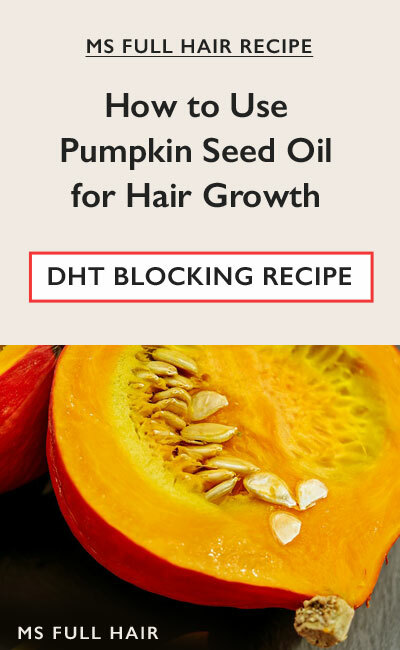 Pumpkin seed oil (PSO) is rich in zinc, magnesium, and iron – all essential minerals for promoting healthy hair growth. If you are lacking of any of these elements in the body, it can negatively affect follicles and cause premature hair thinning according to a number of studies (read this PSO article for detail). 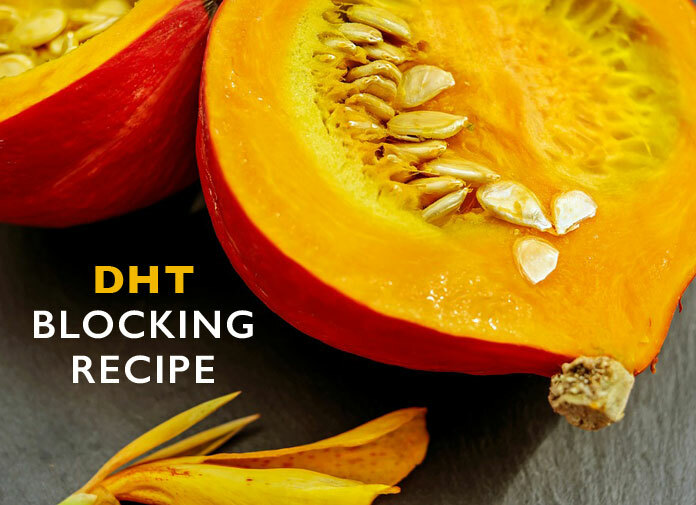 Pumpkin seed oil is also an excellent source for blocking DHT naturally as it helps down-regulate 5a reductase enzyme activity in the scalp. Finally, oleic acid, prominent in PSO, helps with better skin / scalp penetration when applied on the scalp topically.